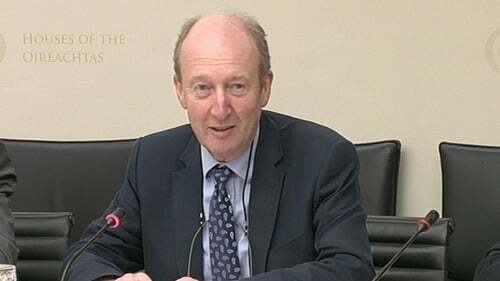 Minister for Transport Shane Ross has said the Moran report into the Rio Olympics in Brazil is imminent. Mr Ross told the Oireachtas Committee on Transport and Sport that he had not seen the report. He said he sent it to the Attorney General to seek advice on how to publish it, due to its legal implications. Minister Ross said he would have further news today or tomorrow. The non-statutory inquiry was led by Judge Carroll Moran into the ticket arrangements for the Rio Olympics. Earlier, a Fine Gael Senator called on Minister Ross to liaise with the Northern Ireland Executive to locate the 2022 Commonwealth Games on the island of Ireland. Frank Feighan told the committee that it would be a wonderful opportunity after the games, which were due to take place in South Africa, were cancelled. Senator Feighan said locating the games on the island of Ireland in 2022 would be a wonderful opportunity ahead of the Rugby World Cup in 2023. "We're a strong Republic, but it would be a great way to unite the island of Ireland", he said. Minister Ross said the idea was a good one which he had not considered to this point and said he would speak to his officials in relation to the matter. The minister also told the committee that everyone has been asking about ticket prices for the Rugby World Cup and said that they will be market-led, but competitively priced. He said some of the projections include tickets priced as low as €20. Asked about improvements to existing facilities to allow them host World Cup teams, he said the budget for those upgrades will come from the tournament budget.